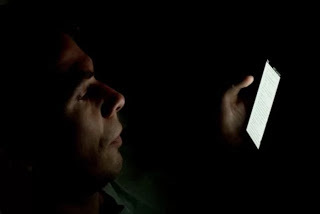 Home / Tech News / Blindness Is It Caused By You Staring Your Smart Phone In Dark ? Blindness Is It Caused By You Staring Your Smart Phone In Dark ? Almost all of us are guilty of operating our phones at night as it is sometimes inevitable because that is the period a large percentage of phone users have free time to check on their phone, browse the internet and chat with friends. Technology has brought both benefits and disaster to human beings and their heath but in this context, we are looking at our vision organ which is the eye. Is it wrong to use our phones at night? Are we going to go blind in the long run? After that, he connected himself to a device that measured current flowing in the photoreceptors in his retinas using electrodes. Then, after flashes of dim light, the particular retina that was exposed exposed to the screen took longer to adjust to new light settings. The Guardian also pointed to this.